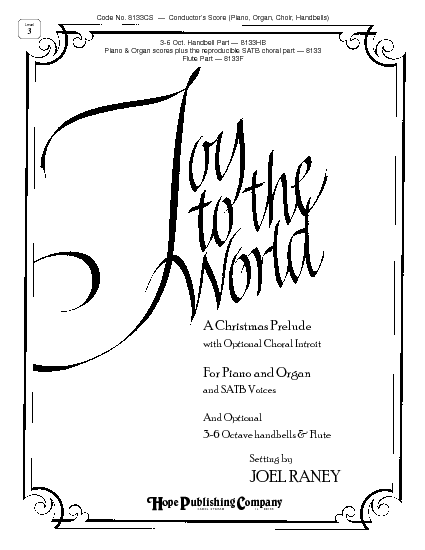 This Christmas prelude is from Joel Raney’s series of top-selling piano/organ duets, with SATB choir entering at the conclusion for an optional choral introit. A perfect beginning to a Christmas service, this setting combines three melodies: Joy to the World!, Rejoice, Greatly from Handel’s MESSIAH, and O Come, All Ye Faithful. 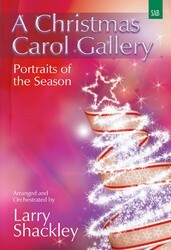 Both keyboard parts and a reproducible page of the text for the choir are included. 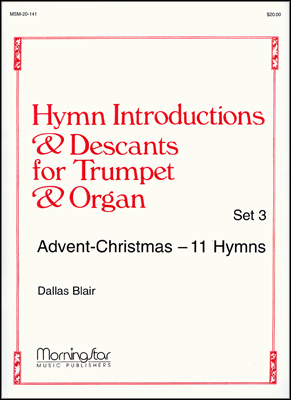 This arrangement also includes an optional 3-6 octave handbell part (setting by Arnold Sherman), a flute part, and a full conductor’s score, all of which are available separately. Text Joy to the world! 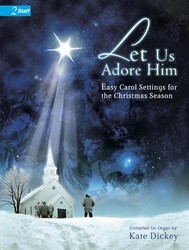 the Lord is come!